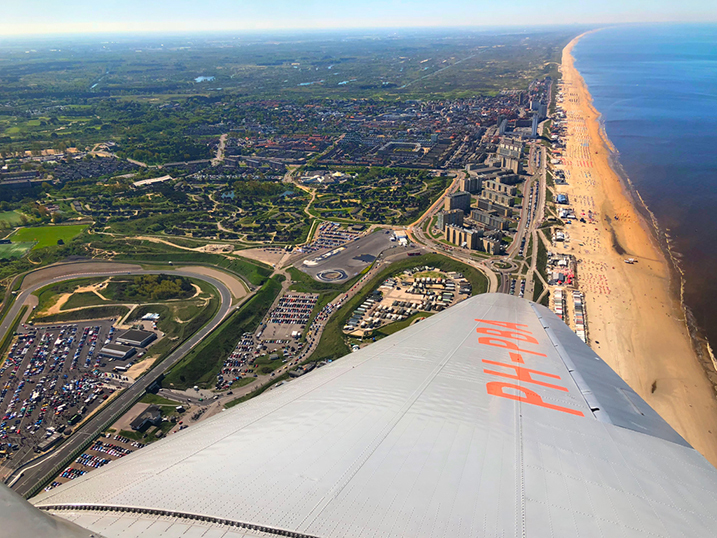 Amsterdam, the Netherlands– For tourists and natives seeking a truly unique and unforgettable experience, climb aboard Dakota Classic Airlines’ historic DC-3 Dakota plane and tour the Netherlands from 1,000 feet (300 meters) above the land. Dakota Classic Airlines (DDA) is a non-profit, dynamic museum with more than 100 volunteers that has matured into a full airline. The main goal of DDA is to stimulate the interest in historic aviation and to make it accessible to the public through exciting flights throughout the year. 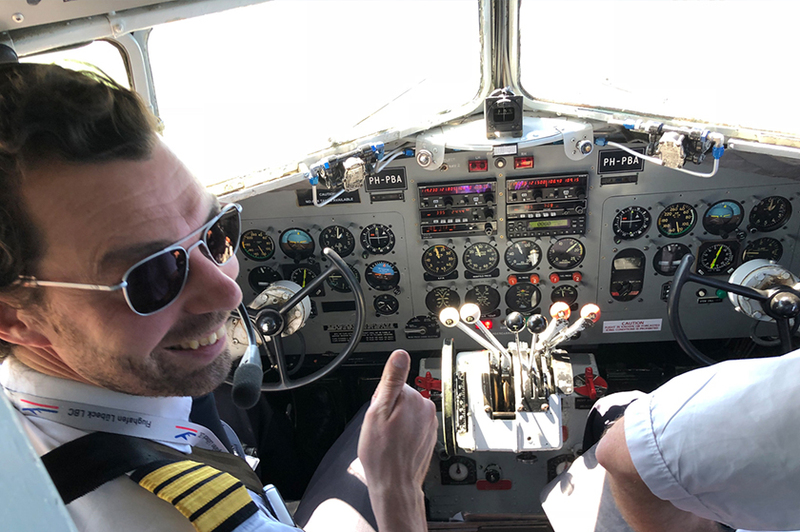 After a 36-year history with various historic planes, DDA now operates a DC-3 Dakota exclusively, offering a variety of extraordinary sightseeing experiences for donors and friends of DDA, sponsors and their invitees as passengers. Becoming a “Friend of DDA” has a variety of benefits. There are 1,500 Friends of DDA within the Netherlands and abroad who support DDA annually with a donation. In exchange, Friends receive the bi-monthly “Logboek,” an attractive magazine about historic aviation as well as reduced rates on sightseeing flights. Friends of DDA include enthusiasts across the globe including Suelle Harts, a renowned Gemologist and jeweler who has a keen eye for beauty and history. Inspired by emembrance Day in the Netherlands, Suelle ecame fascinated with the DC-3 and the special flights it makes. “Treasures are always found in the most wkward places. 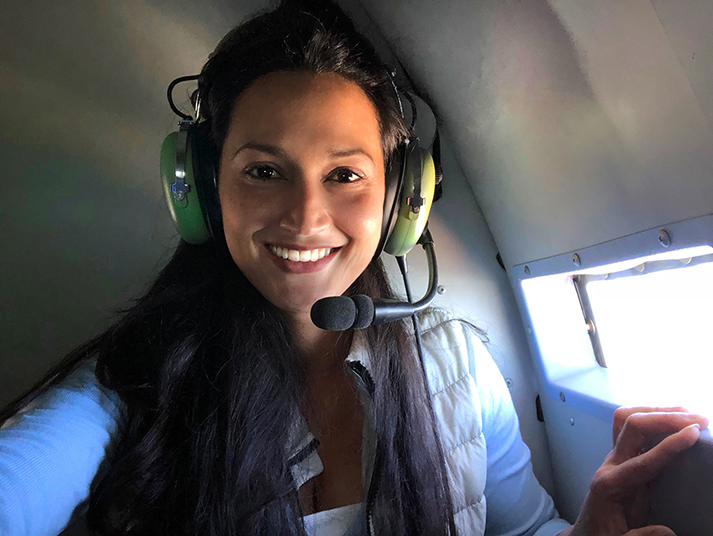 They are sometimes found underground and in the deep seas, but are never expected to be found in the air, flying high in the open skies!” Harts said of her experiences in the DC-3. 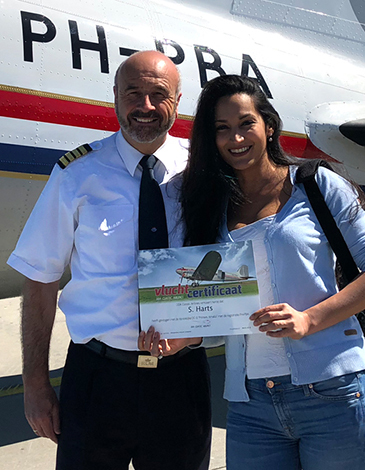 Prescheduled Pleasure Flights include incredible scenic adventures like: Sail Amsterdam, one of the largest maritime events in the world, and the largest event of any kind in the Netherlands. Tall ships from around the globe converge on Amsterdam to celebrate Amsterdam’s history. Historic boats as well as thousands of modern boats participate in the event, which is a sight to see from above! The exciting Circuit Zandvoort Race Track is an amazing experience from the ground but if you watch it from the sky, over the North Sea Channel, you’ll grasp a new appreciation for the event. 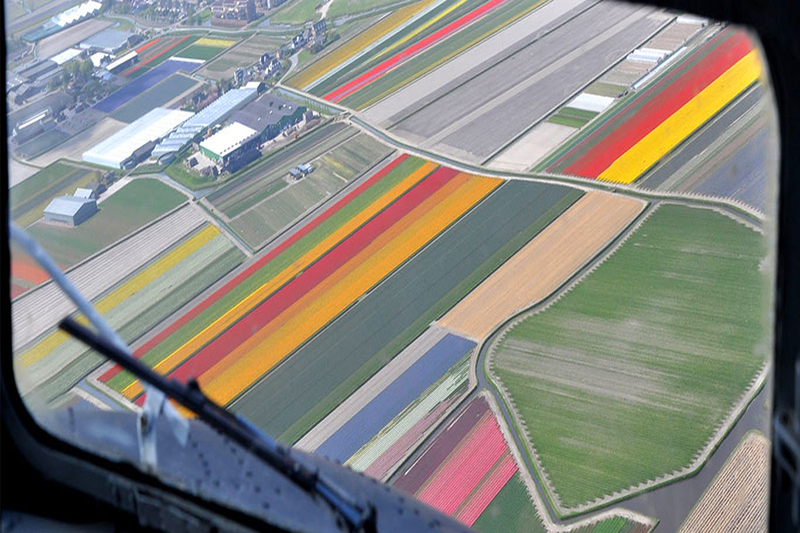 While it’s hard to imagine that Holland’s “Keukenhof” tulip fields could be any more breathtaking than they are while strolling among them, viewing the flowing carpets of colorful tulips from the DC-3 is an experience you’ll never forget. The history of the Dakota DC-3 planes is rich. First flown in 1935, the DC-3 was the first commercial airplane that was later adapted to military use in WWII. Pilots, both military and civilian, loved the DC-3 because of how easy it was to fly and maintain. This is why the DC-3 remains a favorite among historians and enthusiasts and serves DDA passengers today. DDA flights begin with a history lesson before embarking on beautiful journeys across the country. Before departure the passengers walk around the plane and the pilot tells the life story of the “Princess Amalia.” Our Royal PBA played an important role in the liberation of the Netherlands during WWII. 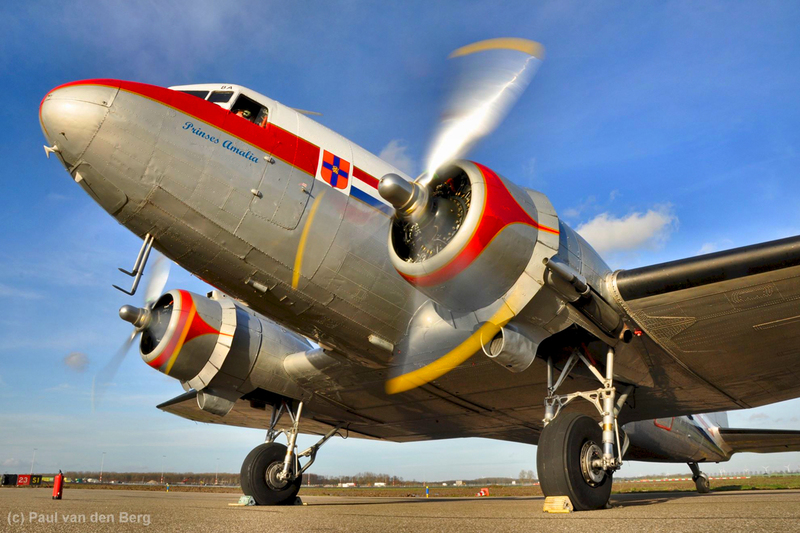 After the war, this DC-3 became the first official government plane in the Netherlands. You will also hear, among other things, how the elevators work and how many horsepower the piston engines deliver. The DC-3 Dakota was once owned by Bernhard of Lippe-Biesterfeld, a passionate aviator and Dutch Prince after WWII. The beautiful aircraft stole the Prince’s heart. The legendary plane survived time and splendor and now this historic plane flies exclusively with donors and friends. Will you be among them sometime soon? Passengers can purchase tickets online here and become a supporter of the DDA here. Since 1982 Dakota Classic Airlines has honored and preserved history in the Netherlands by purchasing, restoring and maintaining legendary aircraft that have served in our civilian and military history. Today, the DDA Classic Airlines Foundation operates a DC-3 exclusively, offering a variety of special sightseeing experiences for donors and friends of DDA, sponsors and their invitees as passengers. For more information, please visit: https://www.dutchdakota.nl/.